Professor Adrienne Brown of the University of Chicago specializes in American and African American cultural production in the twentieth century, with an emphasis on the history of perception as shaped by the built environment. Her teaching and research interests include critical race studies, architecture and urban studies, American studies, Modernism, postmodernism, the Harlem and Chicago Renaissances, popular culture, visual culture, and sound studies. She has also taught in the Chicago studies program. With Valerie Smith, she co-edited the volume Race and Real Estate, an interdisciplinary collection rethinking narratives of property and citizenship. Her book, The Black Skyscraper: Architecture and the Perception of Race recovers the skyscraper’s drastic effects not only on the shape of the city but the racial sensorium of its residents. 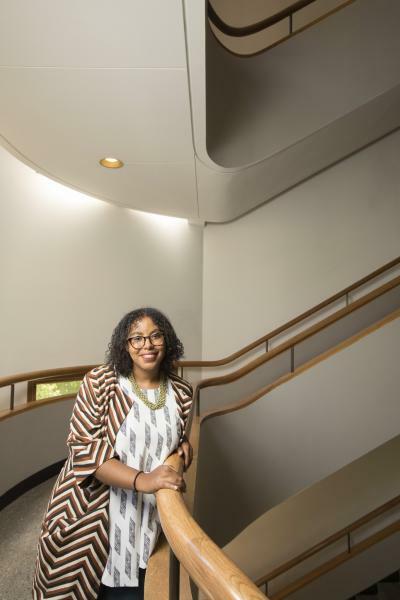 She is working on a new book that charts the impact of the U.S.’s move to mass homeownership in 20th century on how Americans experienced residential space as a social, spatial, and, most significantly, a racial unit. She is also working with Prof. Britt Rusert to collect and publish W.E.B. Du Bois’s short fiction.